Because I’m going to Iceland in few months and I’d like to read some books that are set there, I thought this is a perfect opportunity for me to discover books by Icelandic authors and/or set in Iceland. Starting the list with the only book I read that is set in Iceland, written by an Australian author. Amazing story, highly recommended. I featured this book in Book Traveling Thursday. This weekly meme was created by The Broke and the Bookish. Today’s theme is Top Ten Books Set Outside The US. I didn’t realise how much of the books I read are set in the US! That is something I need to correct. But luckily there are some books that I enjoyed that take place outside the States. Zadie Smith’s dazzling first novel plays out its bounding, vibrant course in a Jamaican hair salon in North London, an Indian restaurant in Leicester Square, an Irish poolroom turned immigrant café, a liberal public school, a sleek science institute. 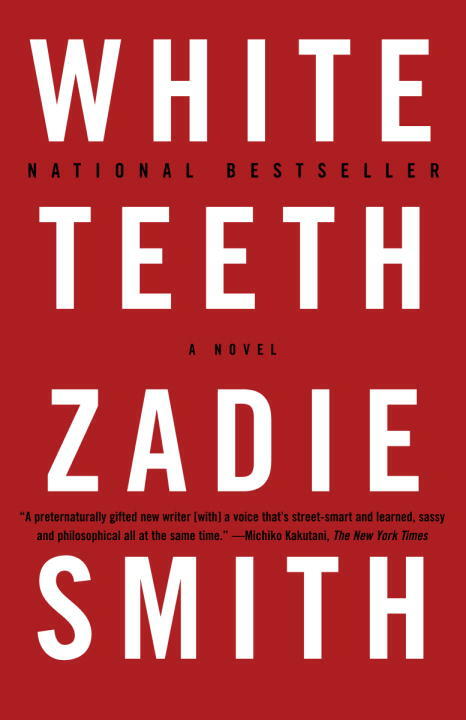 A winning debut in every respect, White Teeth marks the arrival of a wondrously talented writer who takes on the big themes —faith, race, gender, history, and culture— and triumphs.